If you are need of a level 2 electrician Blacktown that can provide you with exceptional service give us a call. Here at HP Electrical Contractor, we are experts in our field and we can take care of all of your electrical needs. We offer high-quality work for homeowners and builders. We can take care of all of your electrical installations, repairs and upgrades. For all electrical emergencies we are available 24/7, 365 days a year. We have over 12 years of experience and are fully licensed and insured. CALL 0431720172 for a FREE quote from Blacktown’s leading level 2 electrician. We service all of Western Sydney, areas of Liverpool, Penrith and Fairfield NSW. Being a level 2 electrician Blacktown we are able to service all of your electrical needs ourselves without bringing in a middleman. This allows us to offer you the best service possible. Whether your electrical service has been damaged or you are in need of more power, to run 3 phase machinery, a level 2 electrician is required. If you hire an A grade electrician they will have to call in a level 2 electrician Blacktown anyways, because they are not certified in hooking your electric up to the network. By calling HP Electrical Contractor directly you can save time and money and you can rest assured that you will receive the best service possible. HP Electrical Contractor can upgrade existing meters and install new meters. You must have a meter so that your usage can be recorded. There are many types of meters to choose from and we will help you decide which one is best for you. Upgrading your meter can possibly save you money. Are you in need of a new meter? We are a level 2 electrician Blacktown and we can install whatever type of metering that you need. 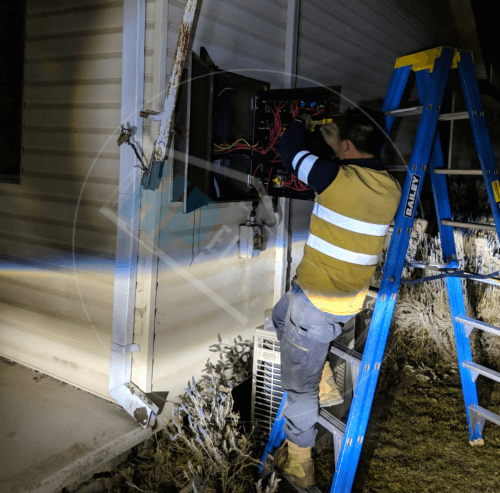 Disconnections and re-connections of consumer mains have to be performed by a level 2 electrician Blacktown. We are able to run a new overhead power line from your property to the network or move the existing point of attachment. We are also able to disconnect and reconnect underground and overhead lines. If service fuses need replaced we can also take care of that. Underground power lines are the safest option. We are able to bury your lines which will help limit power outages. Buried lines cannot be damaged by downed trees, inclement weather or wildlife. 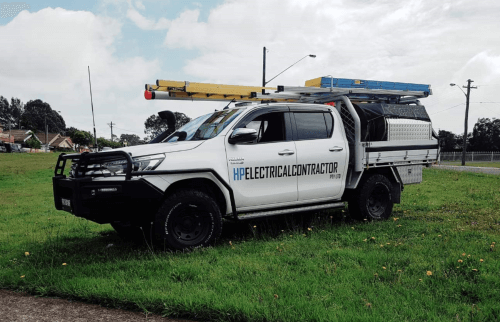 Our level 2 electrician Blacktown services include installation and connection to the point of supply. We can also replace service fuses, service active and neutral links if required. Overhead services are the most common type of service. Only a level 2 electrician Blacktown is certified to perform this service. We offer new installation, disconnections and re-connections, upgrading and relocating overhead lines. If your switchboard is outdated or giving you issues you should have an upgrade performed. Switchboard problems can be dangerous and lead to electrical shock, electrocution and house fires. A level 2 electrician Blacktown is required to upgrade, replace, remove and relocate switchboards. Switchboards are the key to your home’s electrical needs. They do not last forever and older boards were not designed to handle today’s high energy demands. Switchboard upgrades are common and we can handle them with ease. After we install your new board we will also remove the rubbish. Emergencies always happen at the worst times. They can be scary and very annoying. You can call us 24 hours 7 days, 365 days a year. We are your local level 2 electrician Blacktown and we value our rapid response. There is no need to wait to call us. We have a certified technician standing by to help you. There isn’t any job too big or too small we can take care of them all. From repairing damaged or unsafe cables, replacing meters and switchboards to defect rectifications. We can install new private power poles and replace existing power poles. Existing power poles can get damaged and need to be replaced before an inspector turns your electric off. 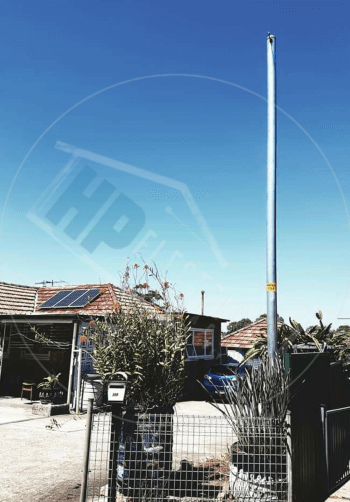 HP Electrical Contractor will replace your old pole and remove it so that you don’t have the hassle of dealing with it. Being a level 2 electrician Blacktown allows us to hook your service up to the network. It is important that you perform regular checks of your pole to make sure that there aren’t any defects. Defects can include leaning, cracks, termite damage, rotting wood and rusting steel. Treated hardwood poles typically have a longer lifespan than galvanised steel poles. They can usually last up to 30+ years. They are subject to being damaged by termites and high moisture content. These elements can significantly reduce their lifespan. It’s important to take into consideration your location when having a hardwood pole installed. Coastal regions and areas with a lot of terminates may not be the best locations for these types of poles. Galvanised steel power poles typically have a shorter lifespan than treated hardwood. They usually only last about 15 years. These poles are becoming more popular due to the fact that they are more aesthetically pleasing and can be painted. Steel poles need to be inspected on a regular basis to make sure that they are not rusting and becoming unstable. During construction work temporary power poles are often needed. Construction sites often require temporary power for equipment and job site trailers. We are able to install and remove all poles, lines and any equipment. Here at HP Electrical Contractor, we are certain that you will be completely satisfied with the quality of work you receive. We even offer a 100% satisfaction guarantee. We are a level 2 electrician Blacktown that is certified to take care of all of your electrical needs. Call us now to book in or for a free quote. You can reach us on 0431 720 172 or via our contact page.